Easily process the ingredients you need for your recipes with this elite blender and food processor from Maxi-Matic. 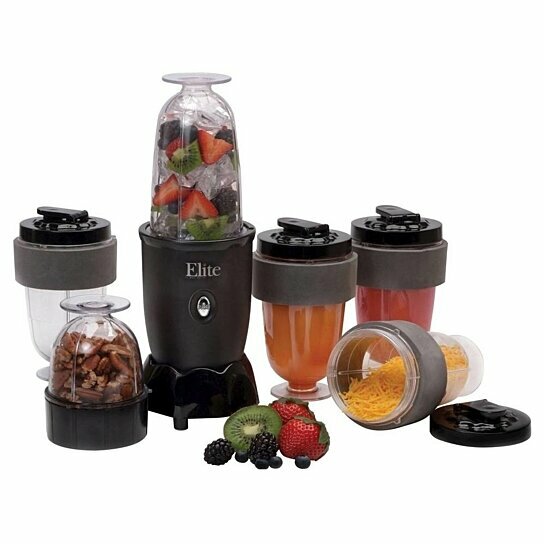 The blending cups and lids are perfect for making your morning protein shakes and smoothies and included grinding cups let you process nuts coffee and a variety of other foods. Press the cup down onto the motor and turn for safe operation and to minimize mess. All parts offer easy clean up to make meal prep a breeze.